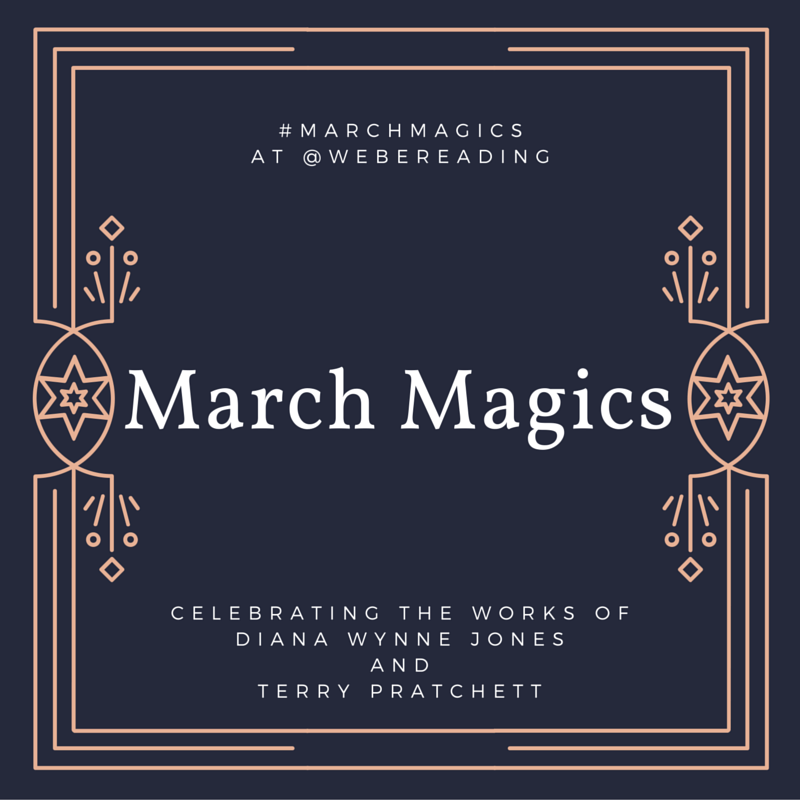 Come back as many times as you want and link up any March Magics posts you write this month. Please include your post title. I'll tweet out links to the posts if you put them here! I just listened and I loved it! You have a fantastic reading voice! Thanks to Goldeen, I've become very sensitive to audio books and readings aloud. I've been subscribed to the news list, but the e-mail on the new post hasn't come last time. Hope that was a one time glitch. Better late than never, right? 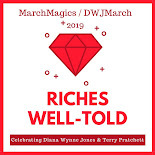 Just a little post about my reading journey with DWJ... she's been one of my favorites since I was about 12. 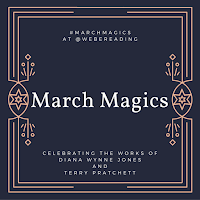 Taking a page from Deborah's book with my post, because I haven't read any of DWJs books in a while and didn't feel like writing a review.